How true these words strike today as thousands of school children across the country courageously walked out in protest against government inaction on climate change. 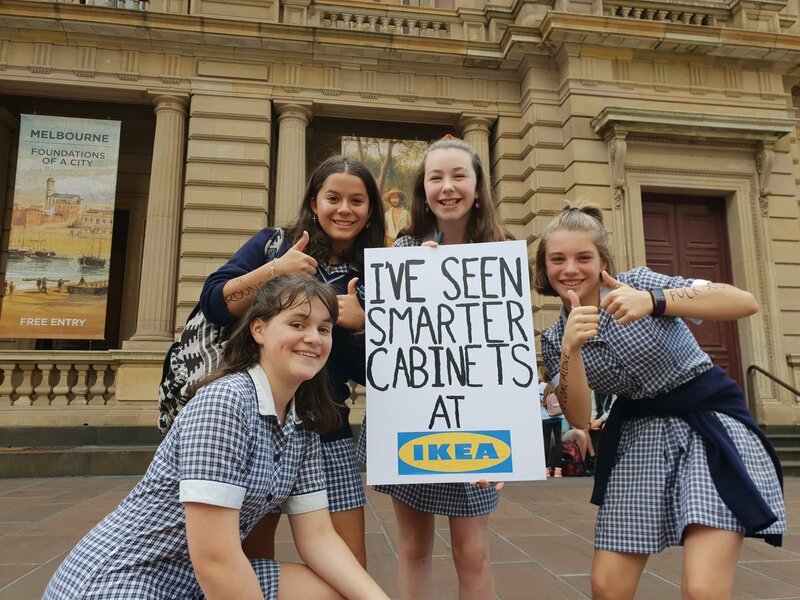 Prime Minister Scott (“Scummo”) Morrison was outraged, lecturing students about “not turning their schools into parliaments”. “What we want is more learning and less activism,” he said. This is the same clown that once brandished a lump of coal in parliament to show his support for coal mining and his indifference to the effects of climate change. His Resources Minister Matt Canavan was no less belligerent, saying he wanted children in school learning about how to build mines, do geology and how to drill for oil and gas, "which is one of the most remarkable science exploits in the world". “The best thing you'll learn about going to a protest is how to join the dole queue. Because that's what your future life will look like, up in a line asking for a handout, not actually taking charge for your life and getting a real job." Striking students condemned the statement by Adani that it would self-fund its proposed Queensland coal mine and begin operations there by Christmas. They also pointed to the UN’s 2018 Emissions Gap Report released two days earlier which included Australia in a list of countries not on track to hit emissions goals set by the Paris Climate Agreement. 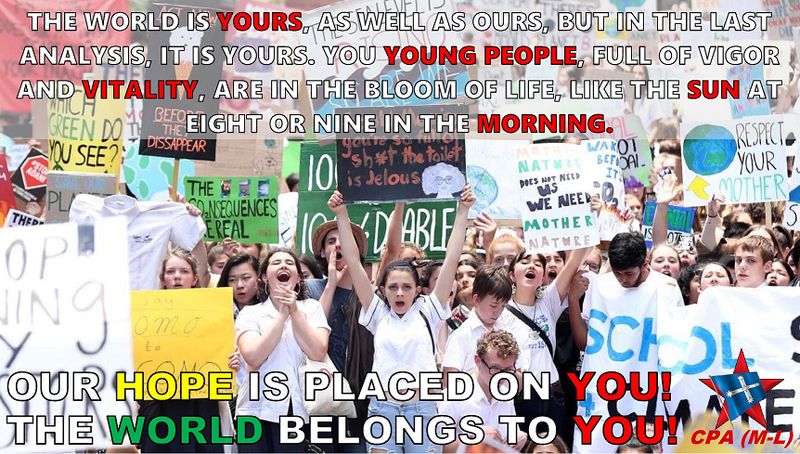 So long as the energy, passion and determination of the young to take charge of their lives and their future is never lost, there will always be hope for a better world. The young always inherit the revolution and it is with their energy and vitality that its success will be guaranteed. The CPA (M-L) stands in complete solidarity with all the striking students. THE WORLD BELONGS TO THEM!